Advances in medical science have changed the healthcare landscape significantly in recent years, with more and more minor medical treatments becoming routine and available on an outpatient basis. 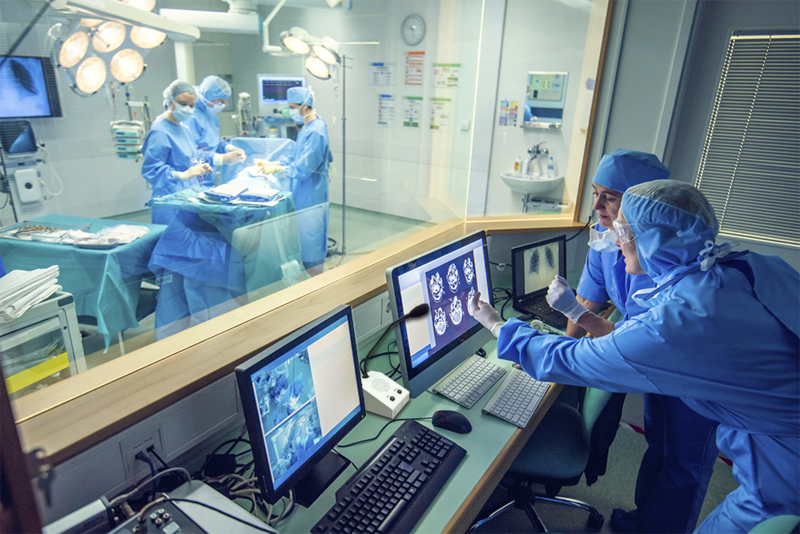 Providers are responding by building a growing number of Cath Labs or Procedure Rooms near Outpatient Clinics and Acute Care facilities, to better serve their patients. For professionals working in these environments, sterile, touch-free communications is essential. Ordinary speaker phones and teleconferencing equipment can’t provide the coverage needed for these large areas, resulting in unclear and unintelligible communication. Our CI-Series Collaborative Intercom system is based on a sophisticated Automatic Level Control technology that delivers consistent, crystal clear, intelligible sound, from a whisper to a shout. We make hands-free communication work, so healthcare professionals don’t have to think about it.